You put together a charming profile that boasts of your loving relationship, your inviting home and the wonderful life that awaits a child. Certainly you don’t envision divorce at the end of such journey. But sadly divorce is a reality for many families, and adoptive families are not immune. However, when adoptive parents divorce, it brings with it additional challenges to consider. Adoptive parents often feel an added sense of guilt, believing they have let the birth family down or are held to a higher standard. There are adoption issues such as who is going to facilitate relationships with the birth family. And most importantly, how will this impact the children, who have already suffered the loss of being separated from their families of origin. Here are some practical tips and guidelines to consider while navigating through the process. Pledge, from the beginning, to put the “child(ren) first” throughout the process. This may be difficult in practice and you may have to continually remind yourself of this commitment, but it should be of the highest priority. Enforce rules and maintain boundaries. Guilt often clouds judgment and it’s easy to start letting rules slide and wanting to be the “fun” or the “nice” parent. Be careful not to fall into the trap. Children thrive where there is consistency. Never badmouth or undermine the other parent. The same way that you would never put down your child’s birth parent, remember that your former spouse is still mom/dad to your child and hurtful words about them end up hurting your child. Be honest and age appropriate. Be truthful, but understand that children don’t need to know all of the information. You can even say that “some things are between Mommy and Daddy” and not for them to worry about. 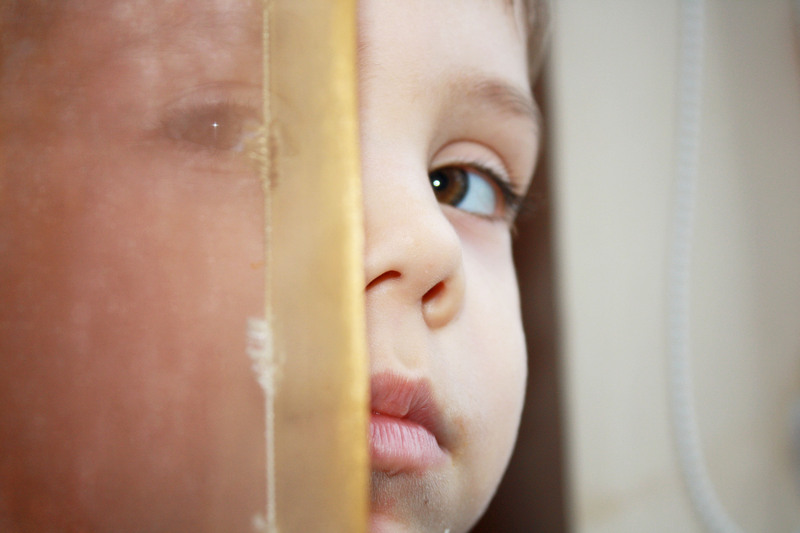 Understand that feelings of loss, separation and abandonment may be compounded for children who have been adopted. Keep the lines of communication open and encourage them to discuss their feelings on not only an impending divorce, but on their adoption as well. Co-parent as a cohesive unit, even if you don’t always agree. And never put the child in the middle or make them choose between parents. Reassure your child that he/she is not to blame. It’s natural for children to feel responsible. Read. Find literature on divorce and recovery that will be helpful and healing. There are many online resources that are specifically geared toward adoptive parents. Seek counseling, not only for yourself, but also for your children. Finding healthy ways to sort through emotions and process the experience will benefit everyone involved. Give yourself time. Be slow to make decisions and changes. The first year is the most difficult. Avoid knee-jerk reactions. Don’t rush to remove all of the family photos that contain your former spouse. Doing so, devalues the other parent in the eyes of your child. Instead, reiterate that the child still has two parents, even if they don’t live together. In cases of open adoption, determine who will manage relationships with the birth family. Ideally both parents should continue to be actively involved. And certainly do not put the birth family in the middle. Give your child permission to love their other parent and help reinforce their relationship. Just as with Open Adoption and birth family relationships, the idea is not to divide the child but to help them feel whole. Be flexible. Although it might be tempting to draw lines in the sand, remain flexible when it comes to schedules and visits. You willingness to make sacrifices is a gift to your child, not necessarily a favor to your former spouse. Forgive. Likewise, forgiveness is not a gift you give the other person, but rather a gift you give yourself. Accepting the situation and choosing to move on in productive ways will make for a much healthier parent, and in turn, a healthier child. Exercise caution when it comes to new relationships. Your child has already experienced the loss of their first family and then of a two parent home. Introducing new companions who may or may not remain in the child’s life is only going to reinforce those feelings of loss and rejection. Prepare to be honest with your child’s birth parents. While it may be disappointing to her (him), the truth is important to share. Birth parents understand that life doesn’t always go as planned. Assure them that you will always put the ‘child(ren) first’. Although divorce is no one’s first choice, it does happen. As our Adoption STAR children get older, we are finding that many families are faced with these difficult decisions. 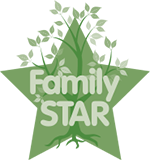 Family STAR is here to support families as they wrestle with issues pertaining to adoption and divorce. Please call if you have a question for one of our counselors or would like to set up an appointment to meet with someone in Family STAR.